Radio station Wish FM 107.5 was awarded “FM Station of the Year” at the 5th UmalohokJUAN Media Awards on May 14, 2018, at the Lyceum of the Philippines University (LPU) Manila. Aside from the prestigious title, Wish FM also received a special citation in the online category for its 2.6 million channel subscribers which generated over 1 billion views on Youtube. UmalohokJUAN is LPU’s official award-giving body that aims to recognize outstanding media programs, personalities and organizations in the country. A brainchild of broadcast innovator and public service advocate, Kuya Daniel S. Razon, Wish FM centers on “music and charity”. Wish FM’s ability to reinvent itself is a transformation to come up with fresh concepts to constantly engage its listeners are just part of its charm. Some of Kuya Daniel’s Wish FM ideas that helped transform how people appreciate FM radio include the country’s first and only “FM-on-Wheels” or the Wish Bus. The ‘Pambansang Wish Bus’ serves as a stage-on-the-go for live performances from up-and-coming and well-loved musicians locally and internationally. Performances are then uploaded on the FM station’s Youtube channel. Wish FM’s nationwide talent-search, “Wishcovery” is another innovation that helped open doors for aspiring singers wishing to share their voices to the world. Then there is the Wish 107.5 mobile app where the station simultaneously streams its broadcast on radio, and the Wish Card, an incentive-based system, where wishers can avail exclusive promos, rewards and freebies simply by downloading the app and earning points. The Wish Awards, the FM station’s very own award-giving body, aims to recognize not only the talent, but the effort and hardwork of artists in the music scene. Wish stays true to being the “FM Station with a Heart” as advocated by Kuya Daniel. 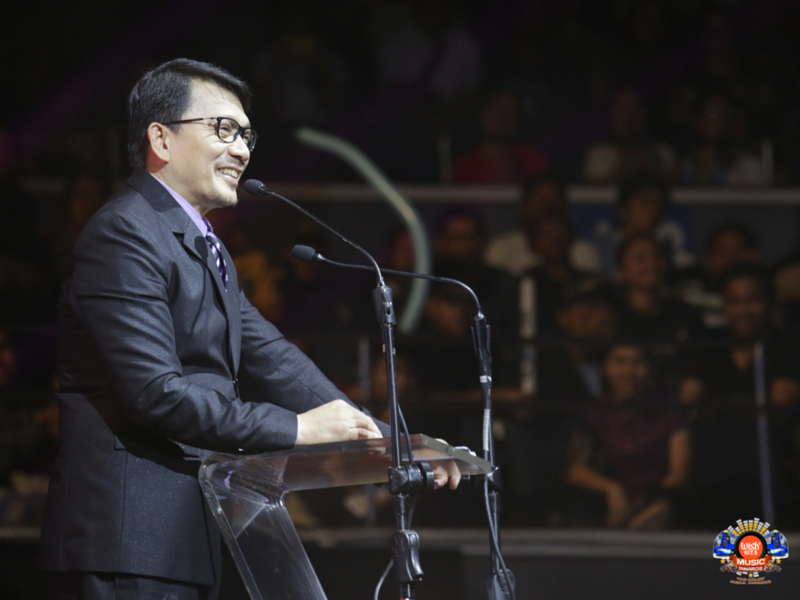 As a public service champion, Kuya Daniel lays out charitable programs in all his ideas and innovations. The station sustains altruistic efforts through “Wishing Walls”, the wish-granting project where select inspirational wishes written on wishing walls are granted to fulfill simple desires. Moreover, there is the notable pairing of charitable institutions with Wish Awards and Wishcovery, where the winners’ chosen charitable institutions receive the prizes. The fast-rising radio station has earned a special place in the hearts of Filipinos, not only for filling the airwaves with its DJ-picked playlist and epic live Wish Bus performances, but for creating paths and opening doors for wishers to follow and reach their dreams. Wish’ program lineup isn’t only music-centric. The station also takes a shot at sharing good values and spreading good vibes through programs like rich-in-learning stories from ‘Wishpers of Love’; and ‘The Roadshow’, which brings Wish Bus guests closer to their fans and supporters, creating new connections and building relationships. After less than four years in the airwaves, Wish FM has garnered several recognitions and citations from different organizations and award-giving bodies in the Philippines. These include the Innovative FM Radio Broadcasting Award presented by the Platinum Media Awards in 2017, and the Most Outstanding Broadcasting and Media Production Company given by the National Customers’ Choice Awards 2018. The FM station was also recipient of the Best in Social Media Platform Usage Lasallianeta Choice Awards from the De La Salle Araneta University, and more.